CMT 10 continues a non-stop Muay Thai action in the octagon. 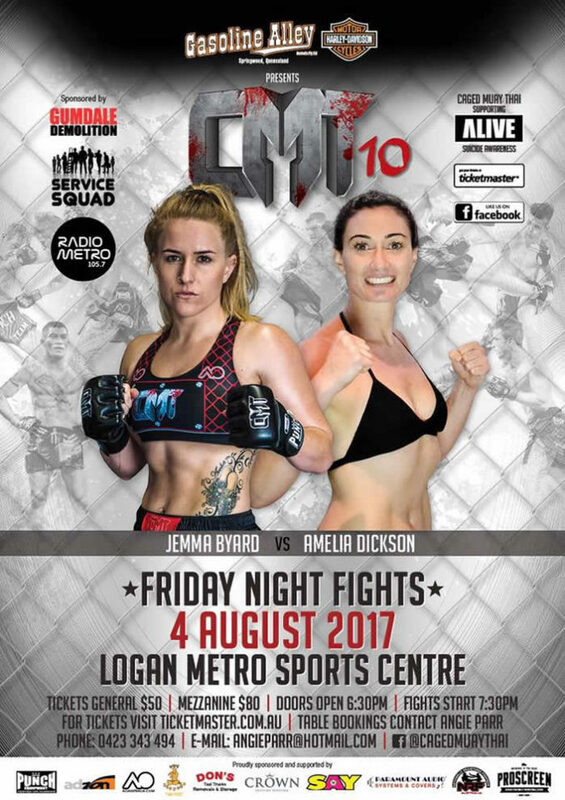 Caged Muay Thai 10 is an international fight bill held on Friday August 4 in Brisbane, QLD. The program features the Australian athletes, as well as the representatives of New Zealand, Korea, Ireland and UK. In the main event renowned Australian John Wayne Parr faces off Jake Purdy of England. In the co-main event Thai-Australian Ghot Seur-Noi battles out against Chris Wells of New Zealand. In June the promotion announced that the fight card features two female bouts. The first contest was revealed earlier this week, with Jada Ketley taking on Rachelle Harrison. The second match between Jemma Lee Byard of Queensland and Amelia Dickson of Northern Territory has been set on Saturday. The 58 kg challenge is scheduled for three rounds. Byard represents Boonchu Gym on the Gold Coast. She has competed at several events in Australia, including Destiny Muay Thai and Battle by the Bay. Dickson represents Performance Gym in Darwin. Among everything her resume includes the appearance at King of the Ring. In summary ten bouts have been announced to date. Other matches are expected to be revealed in the coming weeks.